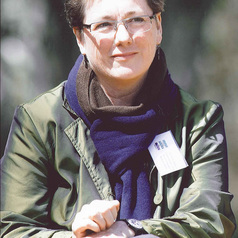 Professor Kate Auty is a Professorial Fellow at the University of Melbourne attached to the Melbourne Sustainable Society Institute and she is the Australian Capital Territory's Commissioner for Sustainability and the Environment. Prior to this, she was appointed a Vice Chancellor's Fellow at the University of Melbourne and the Victorian Government Commissioner for Environmental Sustainability. Kate holds tertiary qualifications in environmental science, law and history, having graduated from University of Melbourne (Arts Hons/Law), Monash University (Masters in Environmental Science), and La Trobe University (PhD in Law and Legal Studies). She also holds a Diploma of International Environmental Law from UNITAR and is a graduate of the Australian Institute of Company Directors program. In 2008, Kate was appointed a Charles Joseph LaTrobe Fellow with the Centre for Sustainable Regional Communities at LaTrobe University. In 2008 and 2009, she was the Chair of the Victorian Ministerial Reference Council on Climate Change Adaptation and also a member of the Premier's Reference Committee on Climate Change. Roles held from 1999-2009 included inaugural Koori Court Magistrate in Victoria (1999-2004) and Magistrate, Coroner and Mining Warden in Kalgoorlie and the western desert in WA (2004-2009). She was a senior lawyer for the Royal Commission into Aboriginal Deaths in Victoria, Tasmania and Western Australia where she worked to incorporate an understanding of the underlying issues across a very broad spectrum of sectors. Her career has seen her undertake a number of consultancies, including the development of curriculum and reports on natural resource management, native title, Indigenous issues, and the choices facing local government in regard to a climate change regulation and practice.